A rural locale devoted to pacifism, human rights, ethical living, and compassion. It sounds like Ashland. But actually it was the Fellowship of New Life in England, whose adherents included Edward Carpenter, Olive Schreiner and Henry Salt. 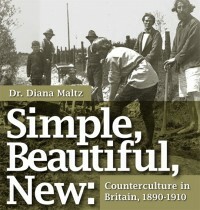 Tonight’s talk by Diana Maltz, puts New Life in the context of Oscar Wilde and the English Aesthetic Movement. Part of the SOU Insight Series (I still think we should call it the Incite Series), the presentation is in the Meese Auditorium (that’s the one in the Art Building) at 7 pm.